Have you reached that age where your arms aren’t quite “long enough” or have you just been told you have cataracts? Then you will want to visit with the doctors at the Eye Centers of Southeast Texas LLP and let them help you to achieve your optimal vision whether you are coming in for cataract surgery or clear lens removal. The new technology Advance Lens Implant can help you to regain not only better vision but better vision with less dependency on glasses or contacts. The standard monofocal implant is a fixed focus lens implant that only corrects distance vision. Crystalens, ReSTor and Tecnis advanced lenses are unique implantable lenses that work like bifocals or trifocals to greatly reduce your dependence on glasses. The Advance Lens Implants can be used in patients with cataracts as well as being used to eliminate the need for glasses or contact lens in a procedure called clear lens removal. Clear Lens Removal replaces the natural lens of the eye with or without a cataract, which reduces or eliminates the need for glasses. The doctors at Eye Centers of Southeast Texas LLP are here to help you achieve the freedom to pursue hobbies, sports and everyday activities without the frustration of poor vision. Below are links for three FDA approved Advance Lens Implants and Toric, a lens Implant that corrects astigmatism during cataract surgery. Please be aware that each lens technology is not the best fit for every patient. Through examination our doctors will be able to determine which lenses best fits your vision needs. 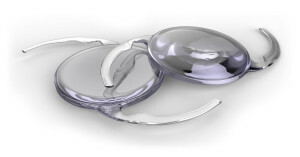 We are happy to provide further information on these new and exciting Advance Lens Implants.